Are you pediophobic? Pediophobia is the fear of dolls. It is derived from the Greek word “paidon” meaning “little child” and “phóbos” which means “fear”. This fear is common due to pop culture incorporating dolls in horror movies, comics, stories and Halloween events. Famous horror movie dolls that are said to be one of the causes of Pediophobia include Chucky from the hit horror series Child’s Play, Billy from Dead Silence, and Jigsaw who already has a self-titled movie in 2017 after the success of the eight Saw movies. People who have watched these movies at an early age most probably developed trauma towards dolls. Dolls appear scary because of their human-like features but lacking movement and emotions. They have a blank stare that most people find eerie. Some dolls are even designed with closing eyes which sometimes cause more trauma than normal dolls. 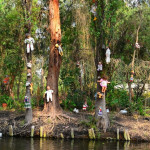 Do you know that in Mexico, there is a creepy tourist attraction with thousands of disoriented dolls hung up on trees? 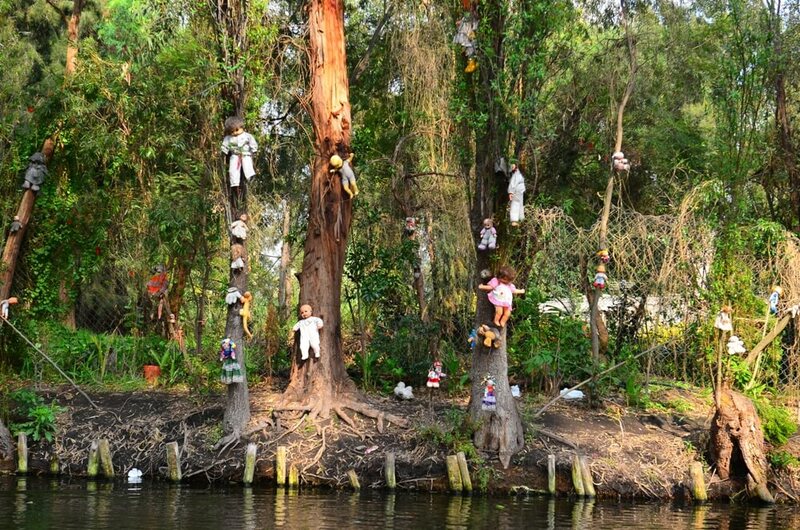 The Island of Dolls or Isla de las Muñecas is visited by vacationers yearly. These dolls are said to be an offering to a girl who drowned in the area. The hype on these scary dolls does not seem to go away. Aside from the numerous movies about evil dolls, you can even buy one on eBay. But for those who just enjoy watching scary movies, Sabrina is showing on 18 October. 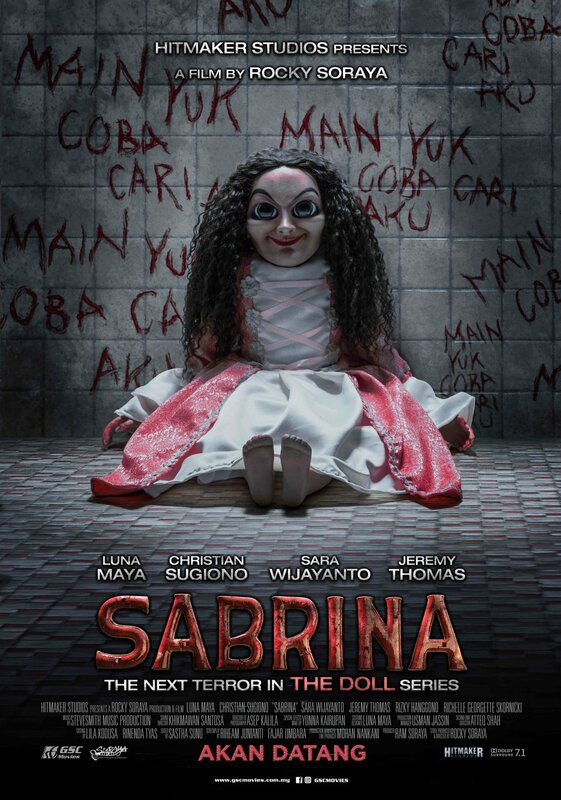 Sabrina is part of the continuation of previous Indonesian horror series, “The Doll.” Happily married Maira (Luna Maya) and Aiden (Christian Sugiono) get hunted by an evil doll summoned by Aiden’s adopted niece Vanya (Richelle Georgette Skornicki). Invite your friends and witness how the family get through the horrific events of this new movie. Featuring Luna Maya, Jeremy Thomas, Sara Wijayanto, Christian Sugiono, Rizky Hanggono and Richelle Georgette Skornicki, Sabrina is directed and produced by Rocky Soraya under Hitmaker Studios. 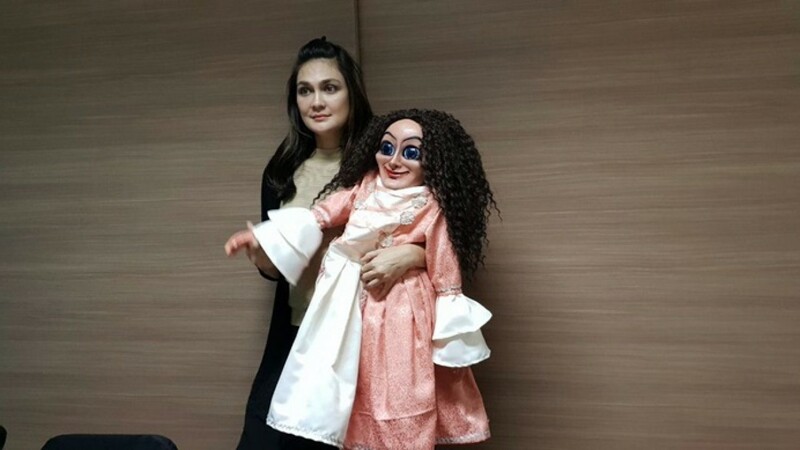 Indonesian soap opera actress and “The Doll” movie star Luna Maya is up for a challenging role in Sabrina. According to the producer and director, Rocky Soraya, Luna was buried in sand for 12 seconds while filming the movie. 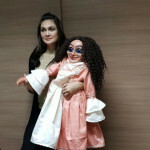 The director also revealed that he was truly fascinated by the totality of Luna Maya’s character, Maira in Sabrina. 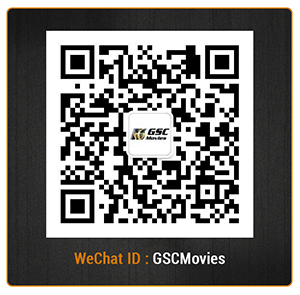 Bringing you cinematic experiences like no other, GSC movies offers you top movies, Asian movies, and movies in cinema. Follow us on Facebook, Twitter, Instagram and YouTube to check out more horror movies and be updated with new trailers!